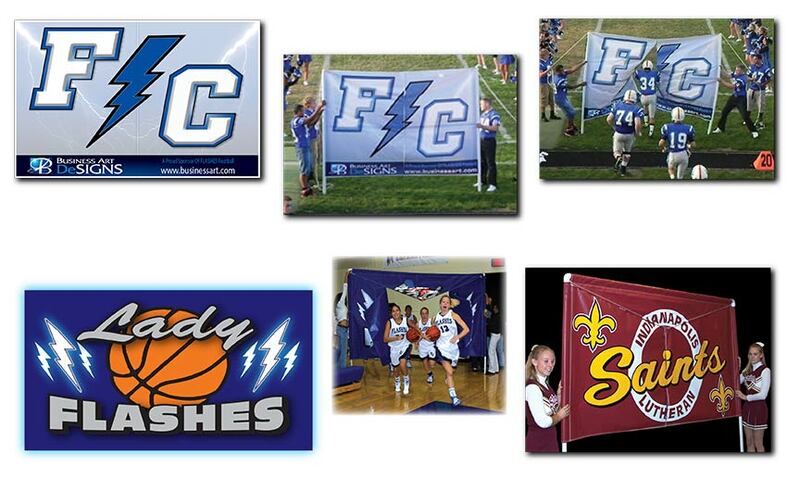 Get your teams ready for the big game with our Bust-Through Banners. They are made from quality 13 oz. vinyl with a Velcro center seam and printed with unlimited colors. The Bust-Through Banner can be used over and over throughout season.